Your wedding will be one of the most important days of your life. You want to be able to look back on it and remember every moment as clearly as possible. That’s why it’s vital to get certain key pictures. Although you’ll probably have many photos from the day, the following are some you should prioritize. Share it with your photographers early to ensure they capture every moment you want to remember. Not every photo from the big day needs to clearly feature people. You want a nice, vivid close-up of the rings at some point as well. Decorate the surrounding area in the shot with items that will complement or play off the rings. For instance, colorful flower petals will subtly accent the image to make the rings stand out more clearly. In many cases, the bridal party will help the bride get ready, applying makeup and accessories, while the groomsmen help the groom prepare. Get shots of these early stages of the day to capture the progress from initial jitters to pure excitement. If possible, have the photographer capture the first moment you and your significant other see each other on the wedding day. This photograph will be one of the most joyful and spontaneous pictures of the event. Whether it was an indoor or outdoor wedding, a large picture of the reception venue allows you to appreciate the beauty of the setting for years to come. Try to get one during an important moment, such as a speech. A couple sharing their first dance together as a married couple is always an iconic moment. Consult your photographer about where you should stand in relation to the lights for the best exposure. You can also ask about post-production techniques to make you and your significant other stand out against the crowd. While there are other pictures you want to have as well, this list covers the essentials. 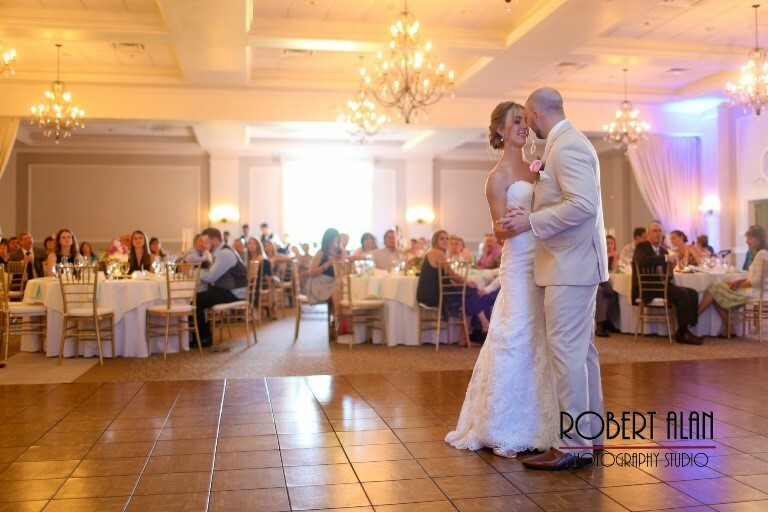 If you’re looking for a gorgeous wedding venue in the Cumberland County, NJ, area, get in touch with us! Located in Vineland, we offer both indoor and outdoor packages, as well as a pleasing selection of dining options, working with you to ensure your big day is as stress-free as possible. For more information on ourwedding services or call (856) 691-5558 ext. 3 today.